حلیم Haleem/Halim is a favorite traditional meal in Iran and it's usually served for breakfast. The main ingredients for haleem are wheat and meat ( beef, lamb or turkey). Haleem is a hearty and filling morning meal that is cooked slowly and requires some patience. 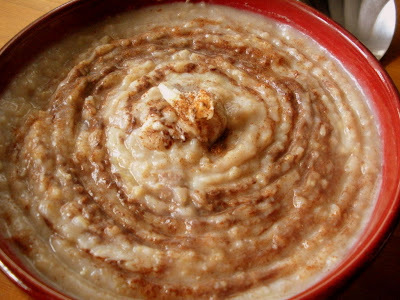 In Iran there are also restaurants that serve haleem in the early hours of the morning or sell it as take-out. There are cooks who insist on cooking haleem the old fashioned way by cooking the wheat and stirring it all night long to have it ready for the hungry early risers. However, thanks to modern technology, which has brought about food processors and hand mixers, we can make haleem much faster. Growing up in the south of Iran, I would witness the vast fields of wheat every spring and the harvesting of crops months later. I wish my New York born and raised children could experience and witness the process of ground cultivation by hard working farmers, and observe the blossoming wheat sprouts and the harvesting and all the work and effort that goes into it all. That has been an amazing childhood memory that has helped keep me connected with nature ever since and makes me appreciate what the earth generously offers us each season and in every corner of the world. you cannot be called a "human being." Place the lamb or turkey in a medium sized pan, add 1/2 teaspoon salt and enough water to cover. Cover and cook for about 1-1/2 hours on medium heat or until the meat is tender. Remove from heat and let cool. Remove and separate meat from bones if using the lamb neck and shred into small pieces. Place wheat in a heavy bottom large stew pot on medium heat, pour in 6-8 cups of water, bring to a gentle boil for a few minutes, reduce heat to low and cook for about 1-1/2 hours. If you prefer not use a food processor then stir the pot frequently. Add more water if needed. Set aside to cool. 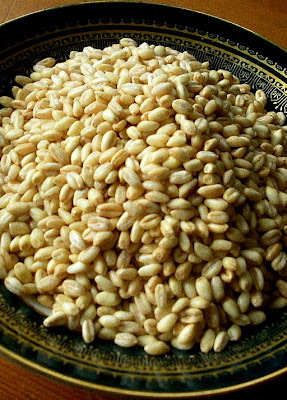 Pour the cooked wheat in a food processor in small batches and pulse till it becomes of a creamy and smooth texture. Using a wooden spoon is recommended. Combine the meat and the wheat mixture and return back to the heavy bottom pot on medium to low heat. Add the milk one cup at a time. Simmer for an additional 30-40 minutes till it reaches the desired consistency and becomes sort of supple and stretchy. Taste and add salt if needed. If you don't like to add milk to your haleem substitute it by adding water instead. To test the stretchiness, use a wooden spoon and gently scoop some haleem. If there is some stretch as you are lifting the scoop then that's the perfect haleem. Your chances of reaching the desired pull of the haleem is better if turkey breasts are used instead of using lamb. Personally, I don't obsess much over this! Serve warm in individual bowls or place it in one big bowl. Top with cinnamon, sugar and drizzle with melted butter. If there are any left overs you may freeze them in small plastic containers. Happy New Year to you and your family Azita. May this year bring lots of happiness. Loving this type of breakfast. Elra, Thank you and wish you all the best for 2010! Yasmeen, Thanks. 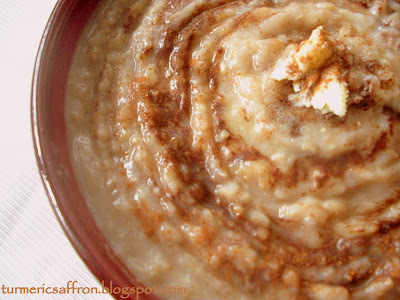 What kind of spices other than cinnamon do you put in haleem? My grandpa was a sugar-beet and wheat farmer in Iran. I must say, I've never heard of haleem or beet yogurt. . . which is odd because my grandma never stops cooking. I'll have to ask her to make some haleem sometime, sounds delicious. As for the beet and yogurt, it may not be a popular side dish in Iran. Cooked beet is very popular though. But not many people enjoy the combination of yogurt and beet.Give it a try you might like it! Awesome..I used to live in Hyderabad, India for a while; I remember how people would flock to get this during the fasting season. I went through the entire post and you have explained it all very well. Thank you! Nostalgia, Thank yo so very much for reading the entire post and taking the time to comment. You made my day! oh this looks delicious thanks for visiting my blog I adore yours and can't wait to learn Iranian cooking from you I had some in Dubai at a restaurant and loved it, would you like to do a guest post on chow and chatter? Thank you Rebecca, I'd love to guest post for your wonderful blog. I'll contact you very soon. Oh, thank you sooooo much for posting this, Azita. Last time I visited my dad, he was enjoying this very dish. I didn't remember it from the time we spent in Iran as a child. Now I can make it for him someday. What a beautiful childhood memory you shared, too. Lovely! Thanks Bria, you are so kind. That is such a lovely idea to cook haleem for your dad. Hopefully soon. I hope so too. He would be quite amused! Hi Azita! Thank you so much for this, I'm going to make haleem for the first time, and I am planning to make it over night, so we'll have haleem for breakfast first thing in the morning (like what out grandmothers would do, remember?) I wasn't sure how much bulgar I needed and thanks to you, now I know! Wish me luck! Laleh, it's great that you are making haleem the old fashion way by cooking it over night. I haven't done that yet. Good luck to you and thank you for visiting and leaving a comment. I have enjoyed reading your blog, since I love Persian food. A former office mate, who is Persian, often brought home-cooked meals and shared the food with me. Good times and good eats! I have been reading your weblog near two years and enjoy it alot. thank you for your nice Work. Can I make it with couscous? Anonymous, thank you so very much for taking the time to read my blog! I have never made haleem with couscous and I'm not sure that it would be a good substitute. If you decide to try it please let me know how it turns out. This is a perfect recipe for after thanksgiving leftover turkey. I'm making this for our Sunday breakfast. So excited!! Me and my fiancee made tonight this delicious dish for our parents. It`s now 4 o'clock in the morning and we are going now to sleep...and dream about haleem. It has been 14 years that I tasted haleem since I left my country, Afghanistan. Thanks for your recipe! I made this today after craving it for so long! ! It was my first time making it and I was quite pleased with the results! Just wondering, though, what ingredient gives haleem its stretchiness? I feel that mine wasn't as stretchy as I remember having it in Iran. I used pelted wheat, but only had chicken breast at home. Haleem is traditionally made with lamb or turkey and it requires lots of stirring to make it stretchy. I can't wait to make this, but I do have a question. Should I use pelted wheat, cracked wheat, or bulgur wheat? Is difference? Thanks so much for your lovely recipes! Melissa, thank you! You should use pelted wheat. it is 3.42 AM in the morning and I have been awake because of my nose is blocked. doing some eucalyptus steaming. 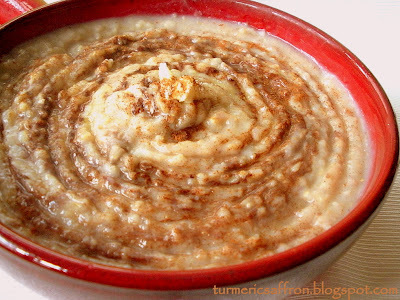 All of a sudden, I felt like eating the famous iranian haleem, and then found your amazing well written recepie. couldnt be more happier. I have a pressrue cooker at home and moght use that to speed up the cooking process.